The Ionic 5" Nerf Bars include a wider than normal step that insures safe entry and exit from the vehicle. 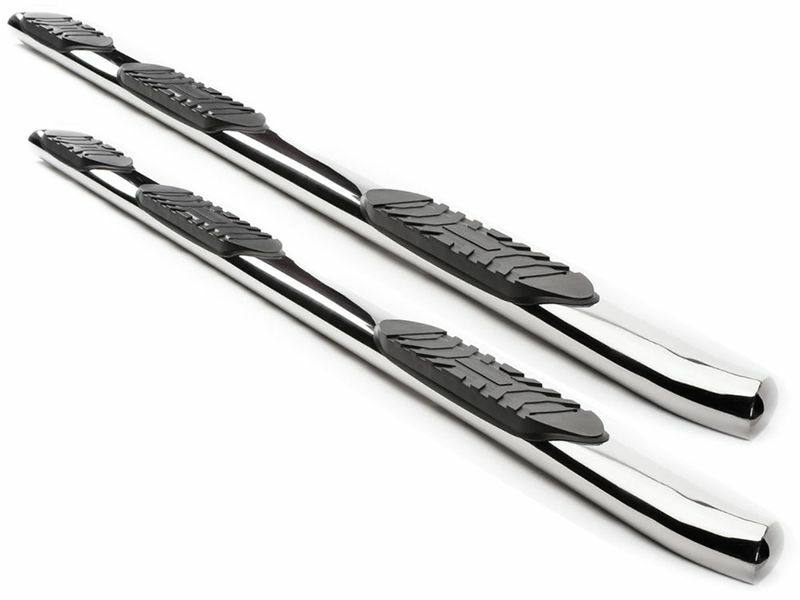 The Ionic Wheel to Wheel Stainless Nerf Bars are some of the best nerf bars on the market. Ionic bars are a great choice for harsh environments with a stainless finish. They are built strong and feature wide step pads to ensure that you and your passengers enter and exit your vehicle safely. When you purchase these Ionic Wheel to Wheel Stainless Nerf Bars for your vehicle, they come with a Limited Lifetime Warranty! This protects the product from any damage that may occur due to manufacturer error.